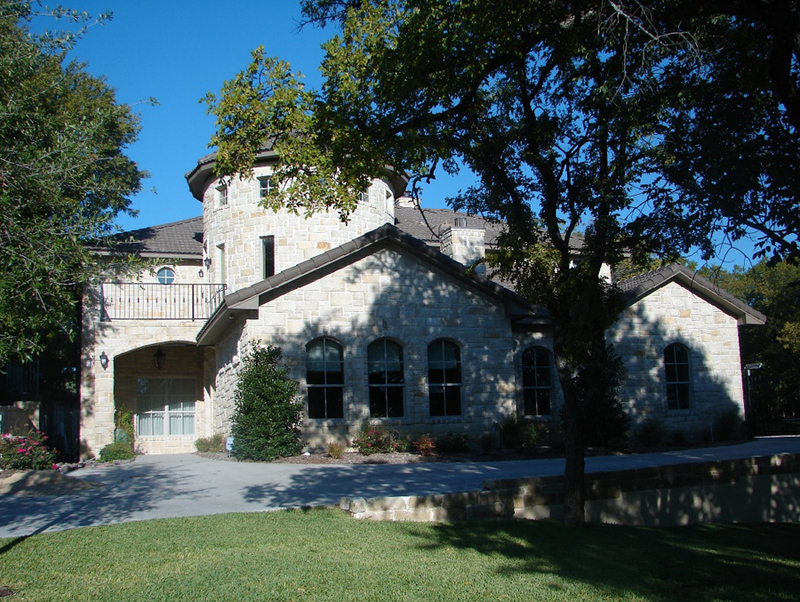 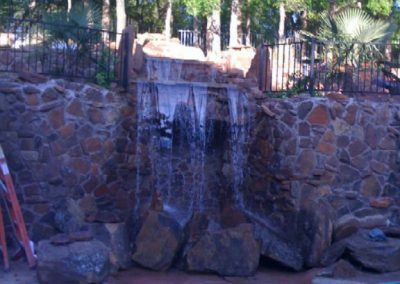 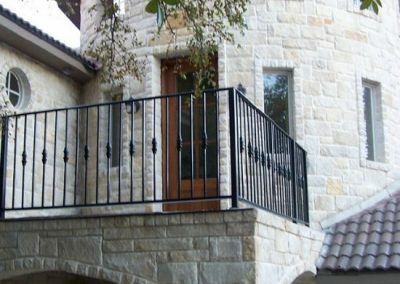 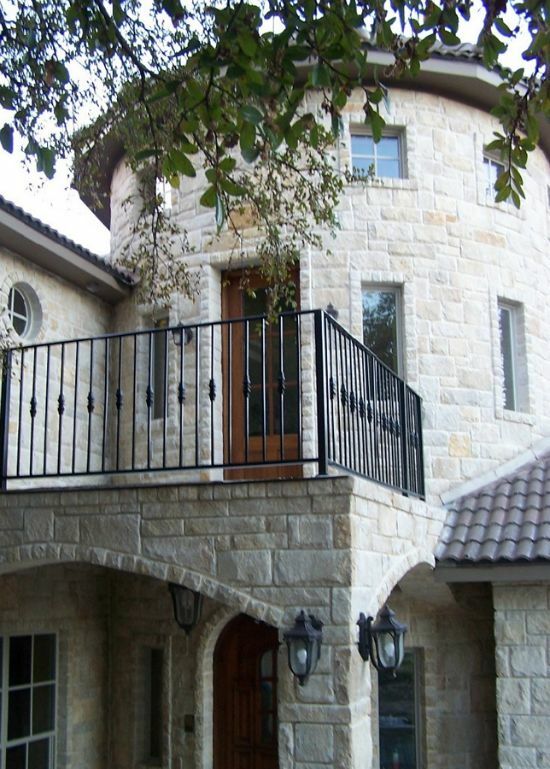 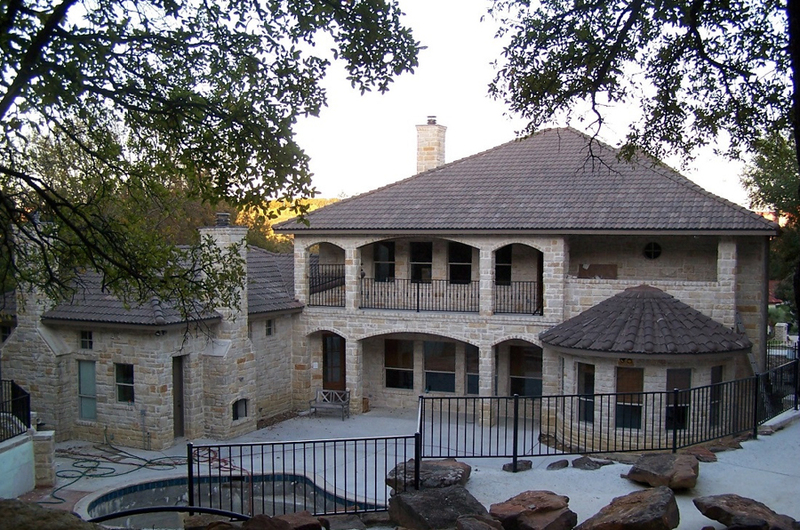 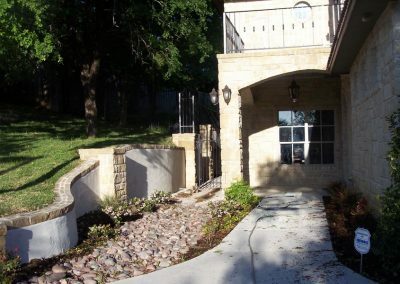 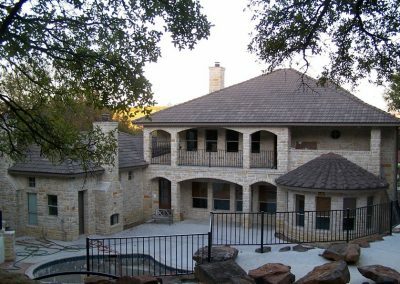 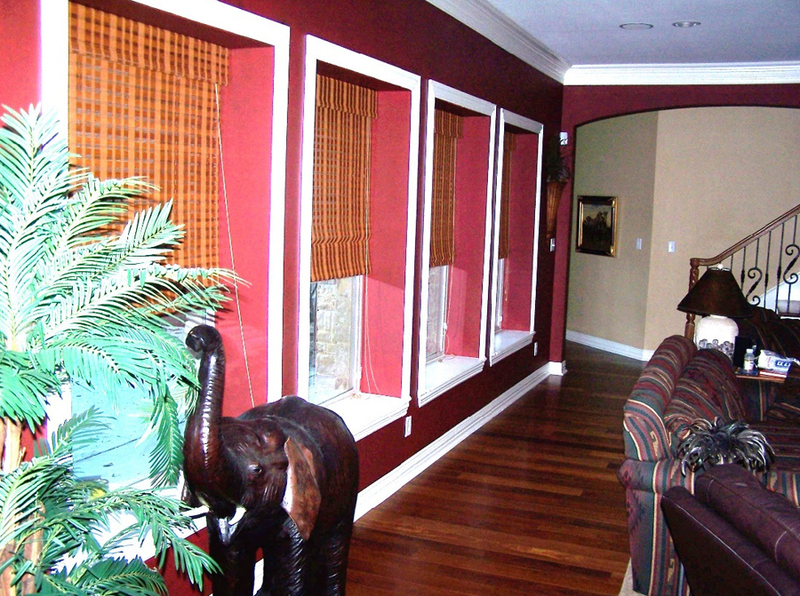 This high-end custom home on the outskirts of the Dallas-Ft. Worth metroplex has dozens of unique ICF features. 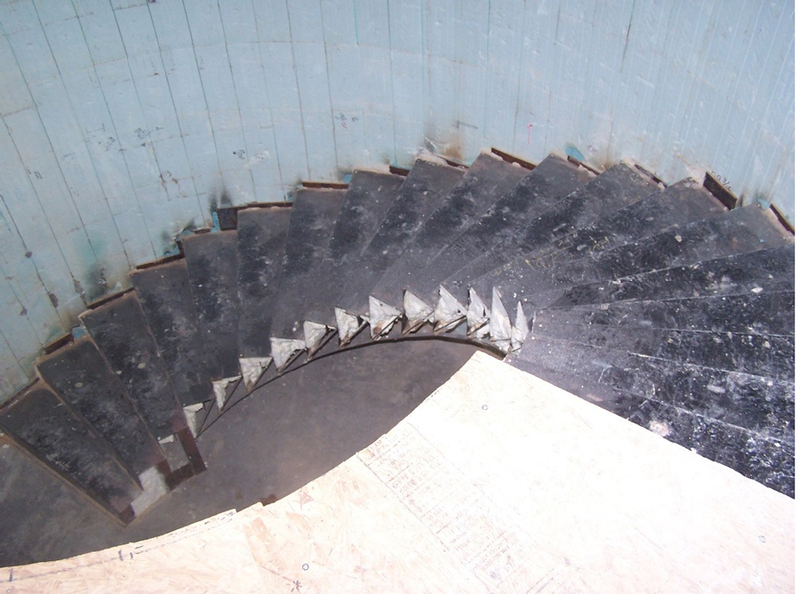 In fact, this was one of the reasons behind its construction. 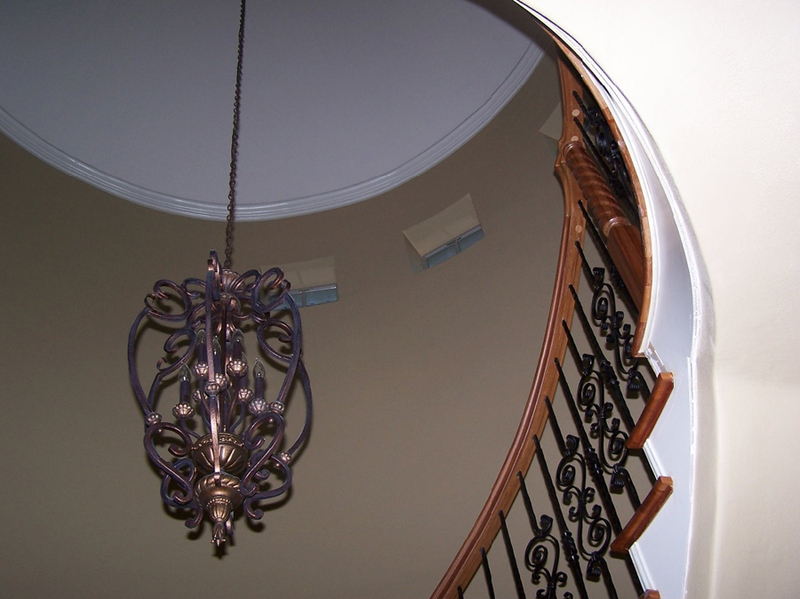 These include the 35-foot-high radius tower that serves as the focal point at the front of the home, an unsupported spiral staircase, and a 200-square-foot waterfall. 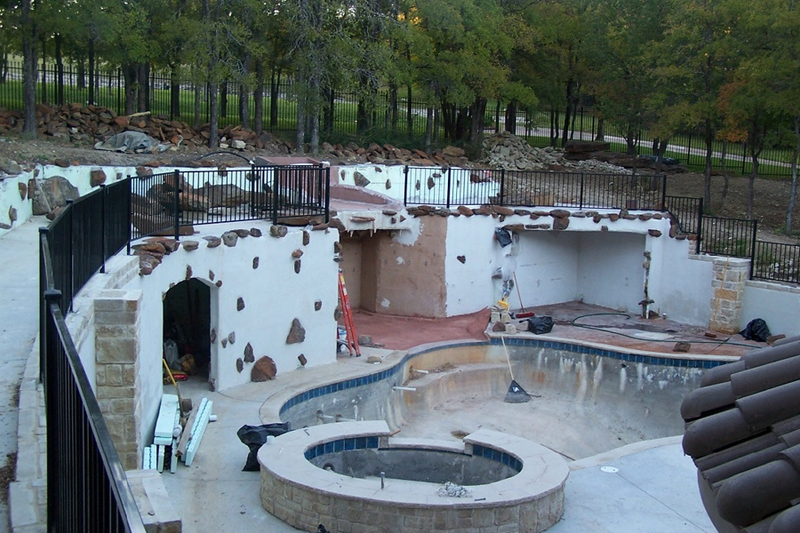 Measuring at just under 6,000 sq. 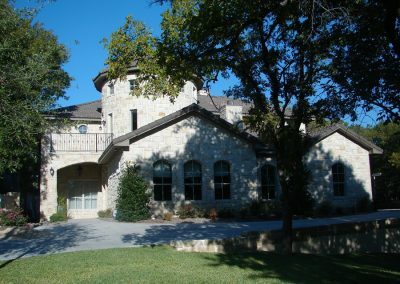 ft., the home uses more than 14,000 sq. 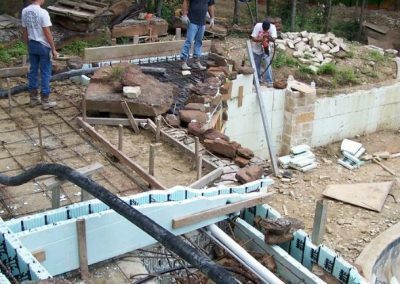 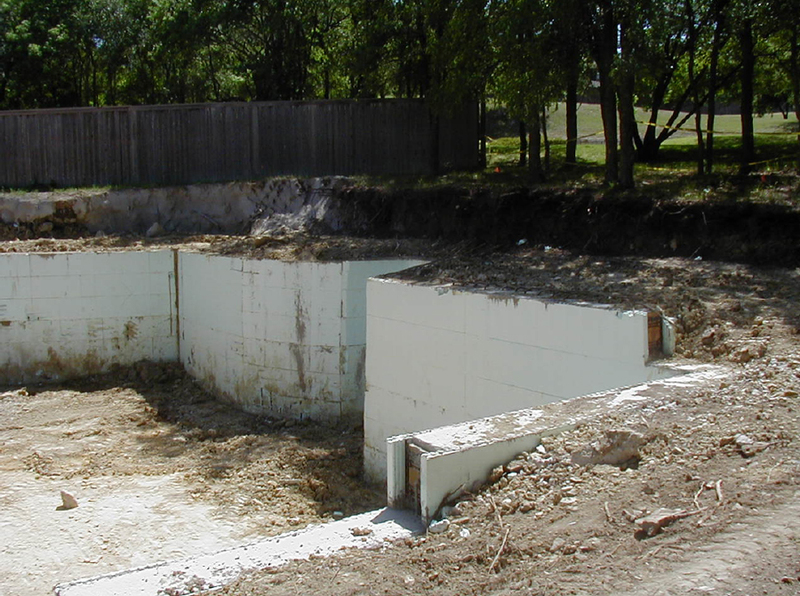 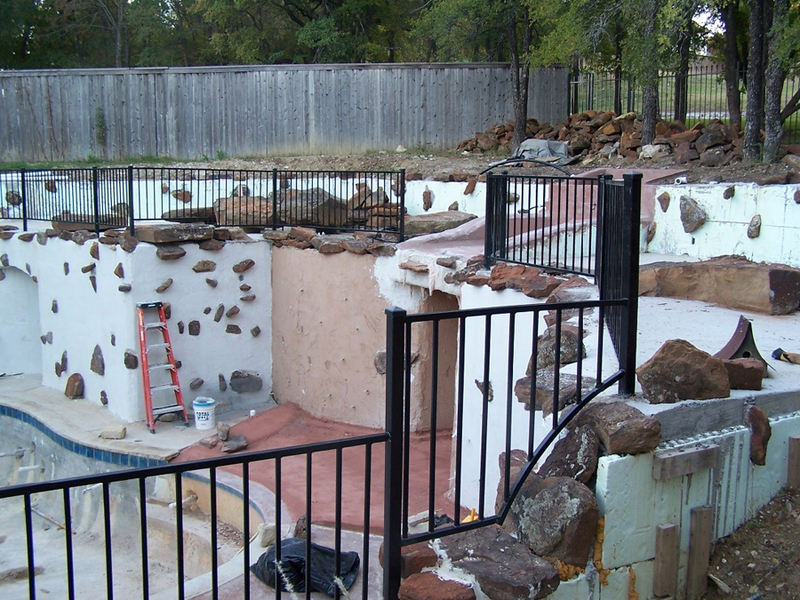 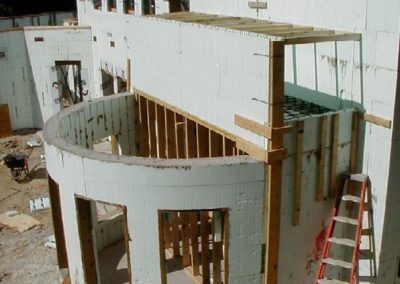 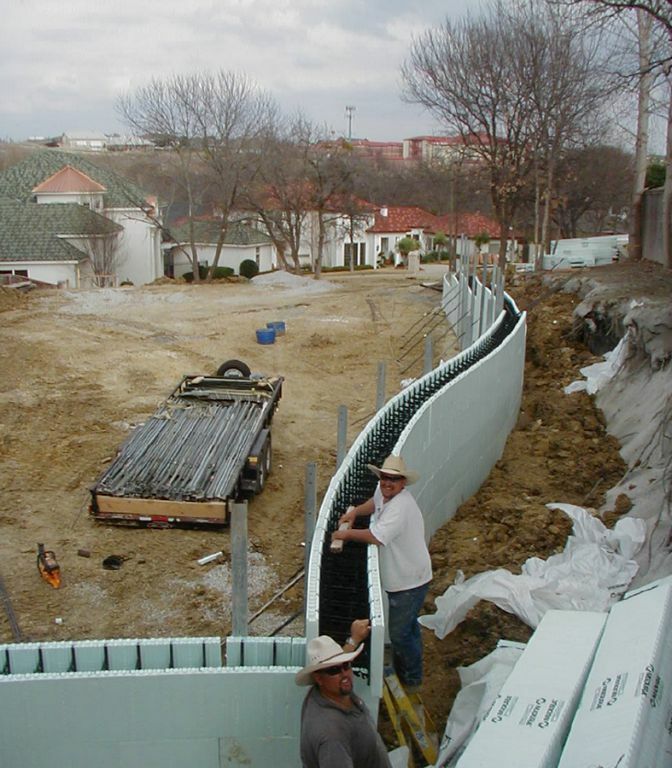 ft. of ICFs in interior and exterior walls, swimming pool, retaining walls, and water feature. 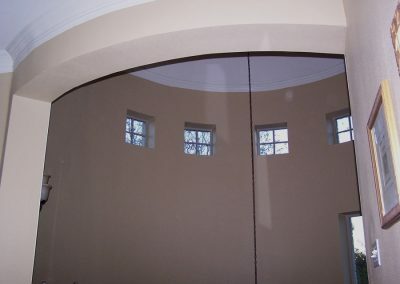 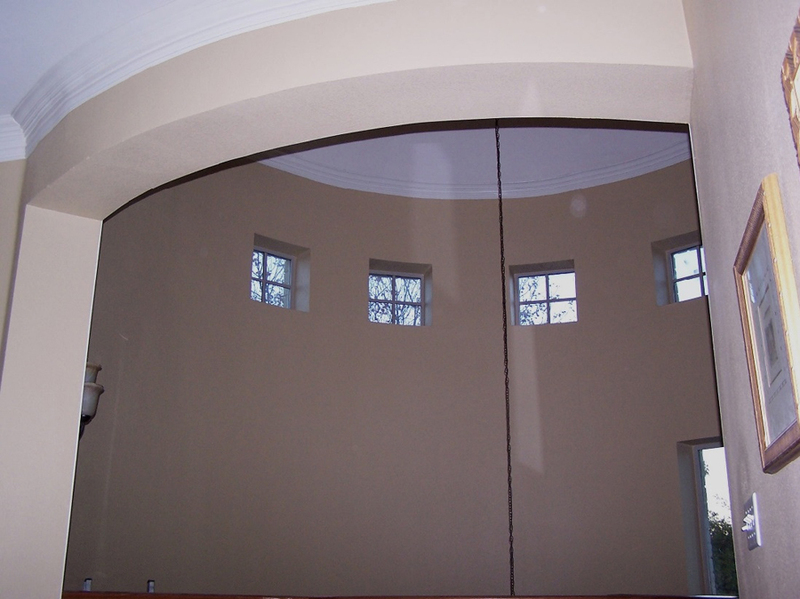 One radius wall has six others intersecting it. 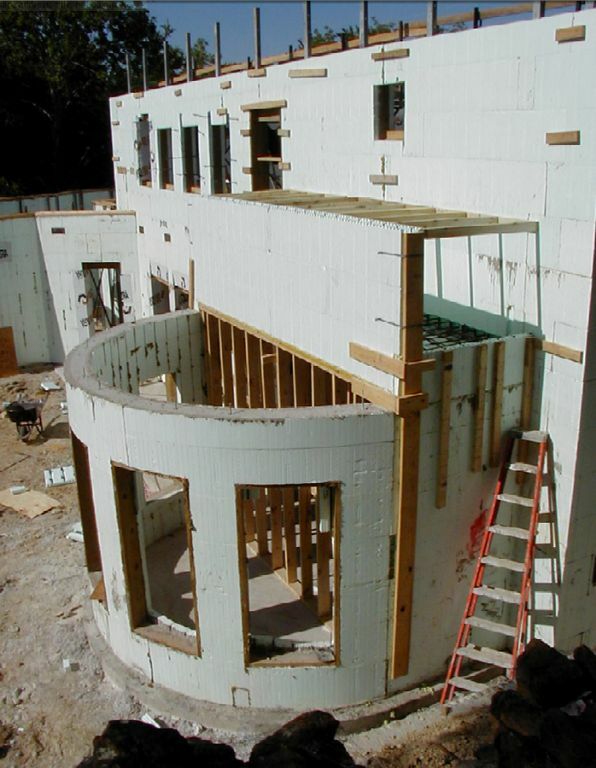 Another has a second-story ICF wall suspended above a radius bay window. 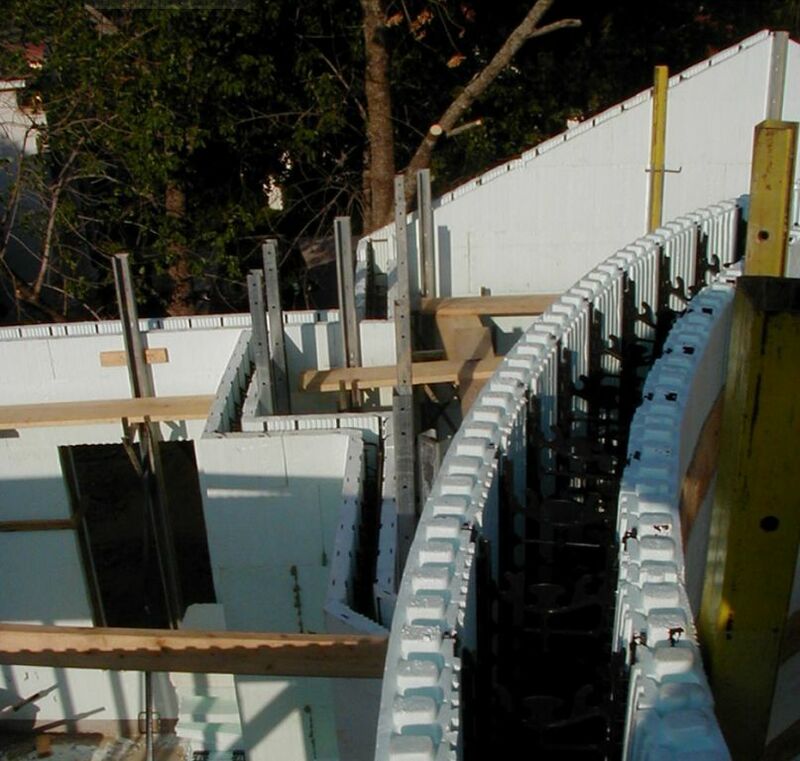 In fact, quite a few of the second story ICF walls are not aligned with the walls below. 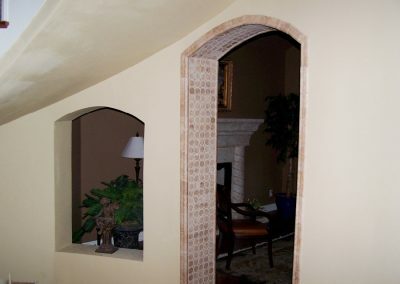 This was accomplished via engineering using a lintel design. 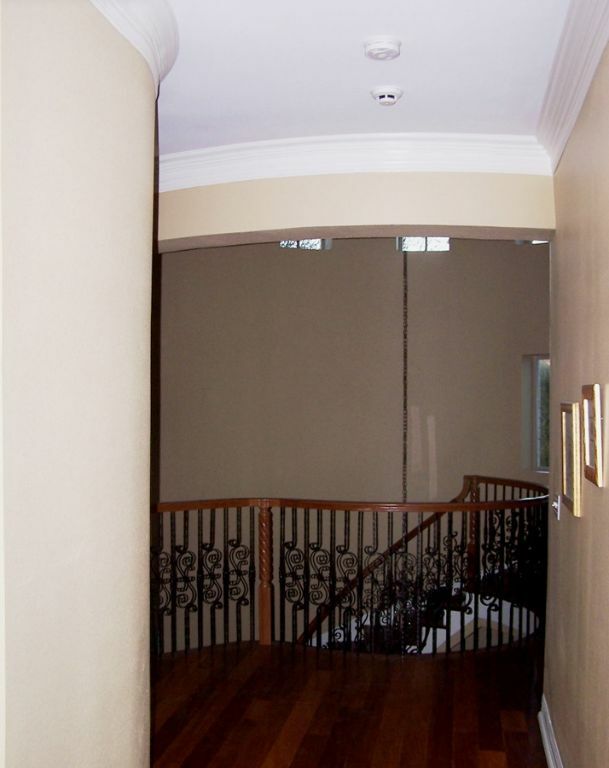 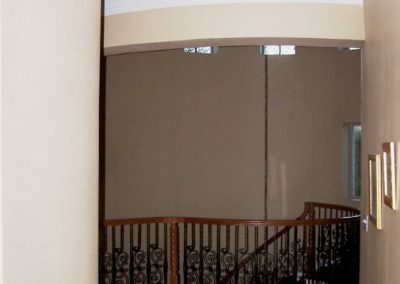 All the gables are ICF, and one walk-in closet doubles as a safe room with a concrete ceiling. 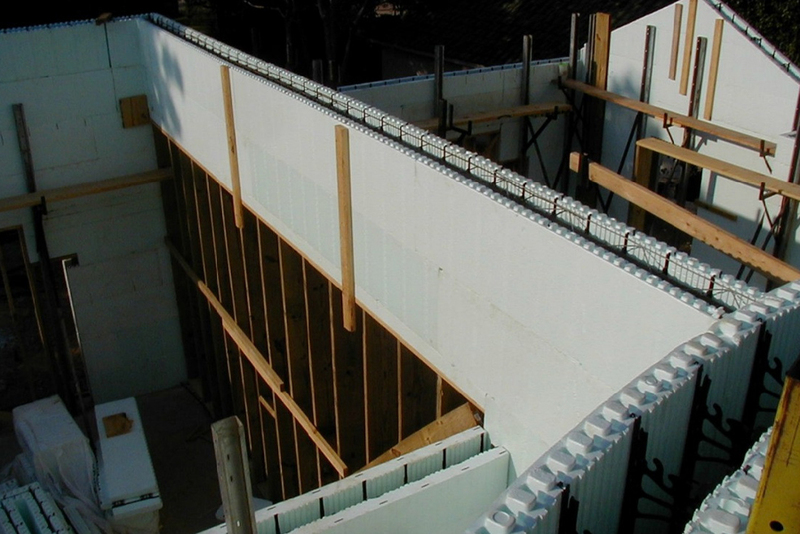 Despite the complexity, the ICF install was completed in just seven weeks. 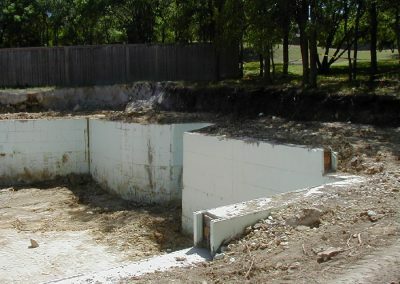 The project began with a massive excavation project. 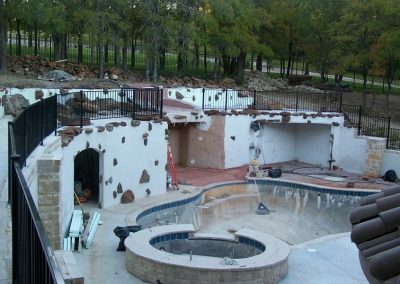 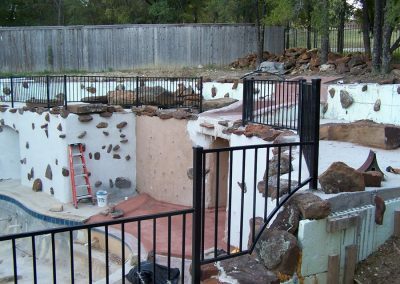 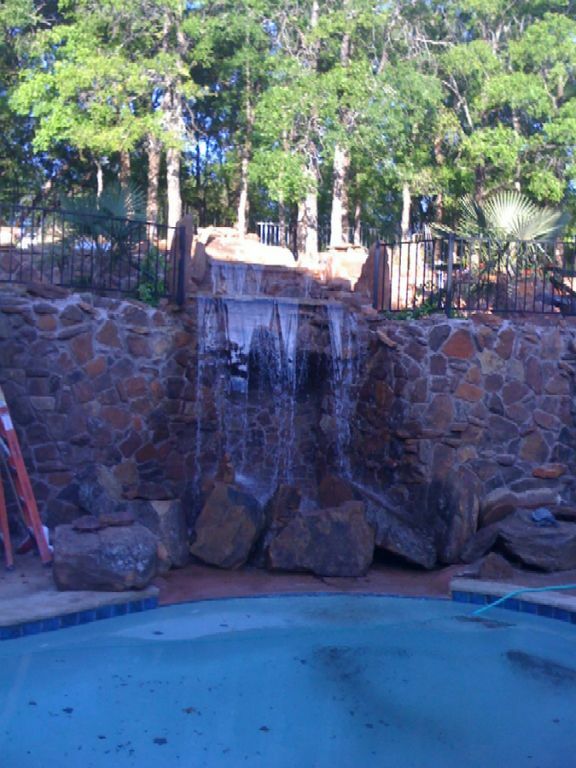 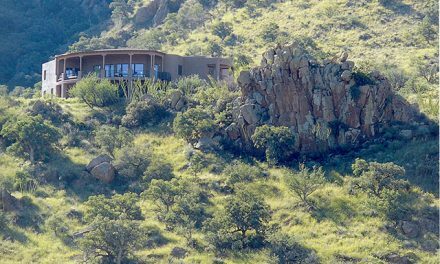 About 150 truckloads of dirt and rock were removed to create the pool area and keep the home nestled down out of the reach of the hot afternoon sun. 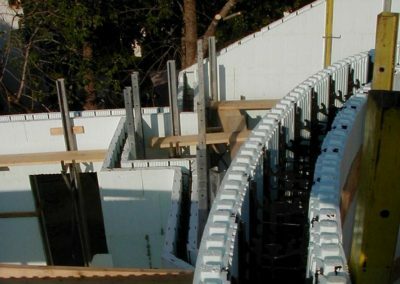 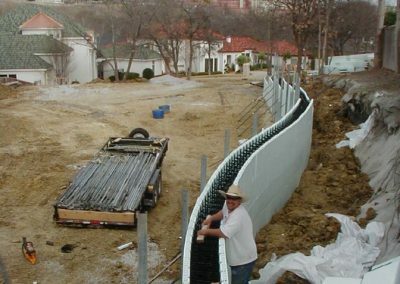 Nudura’s 12″ core forms were used for the retaining walls, 6″ forms for the exterior of the home and 4″ forms for the interior walls. 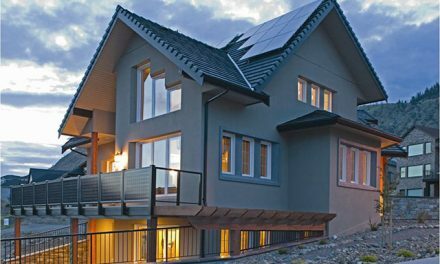 Despite the size of the residence, it is extremely energy-efficient. 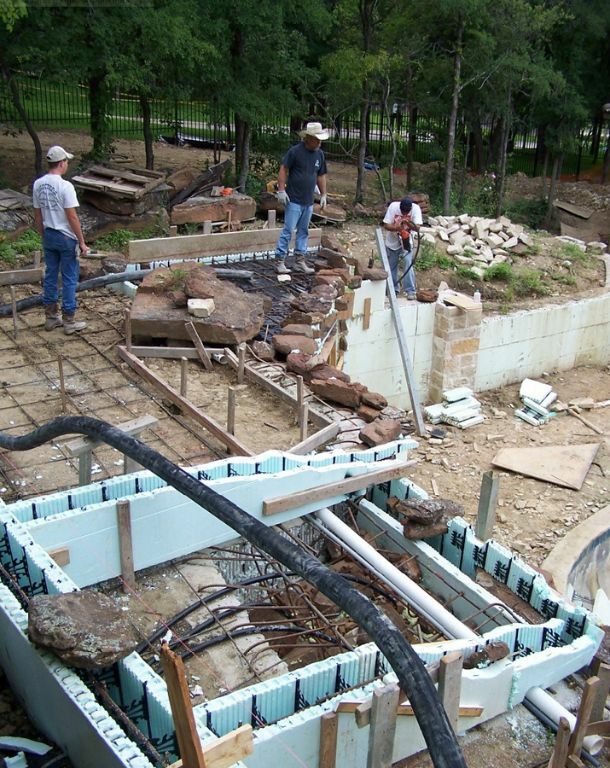 The hot water system is assisted by a geothermal loop. 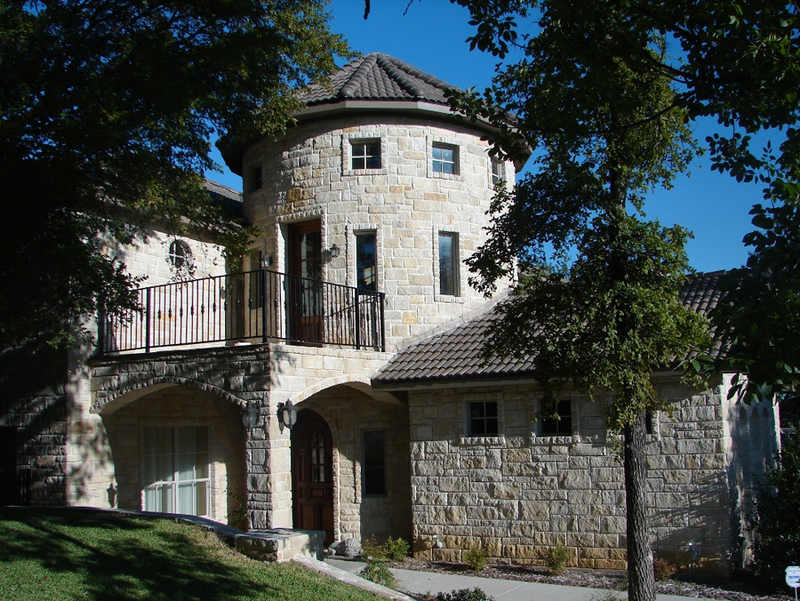 The 35′ radius tower is incorporated into the HVAC to capture the higher temperature air that collects there during the winter months. 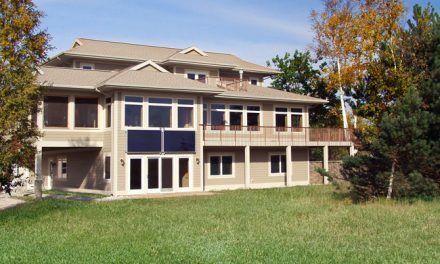 Knowing that his home would be used as an ICF showpiece, the owner had the HVAC metered separately. 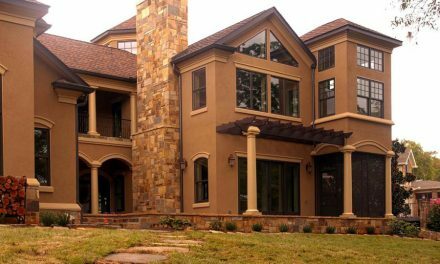 Years of day-to-day living show the home functions at a less-than-$100-per-month average for almost 6,000 square feet of living space. ICF Use: 14,000 sq. ft.